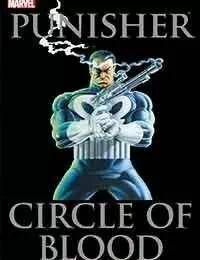 The Punishers in prison, but he cant complain... Now the criminals have nowhere to run! But while hes in gray, his trademark black-and-white looks being used by an army out to wipe out the mob and anyone else in the way! Marvels vicious veteran vigilante finds out who to kill and who to trust in his original miniseries! Collecting PUNISHER #1-5 (1986).